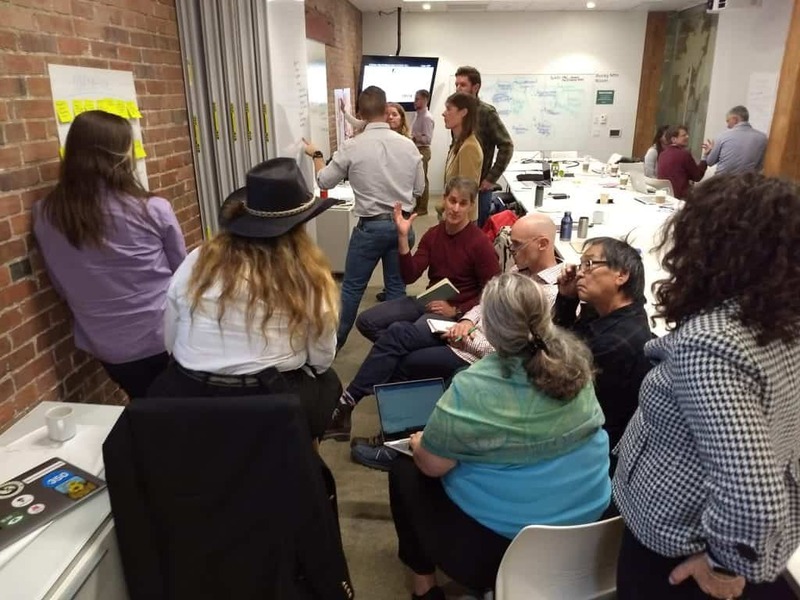 In the first two blogs in this series, we described our vision for a Regenerative Economy in the Boulder-Denver region, as well as the new narrative that supports that vision—the what and the why. But none of that matters if we fail to translate theory into practice. Natural Capitalism Solutions (NCS) has always oriented itself towards action. In this post, we’ll discuss the how: the tangible steps needed to turn vision into reality. The Hub will engage local and state officials to embed regenerative thinking into economic policies. Hunter Lovins is already in conversations with various agency heads and the Governor to bring these concepts into state government. Hunter, who chairs the Wellbeing Economy Alliance (WEAll) North American Narrative Working Group will guide the Hub in framing a locally appropriate narrative. 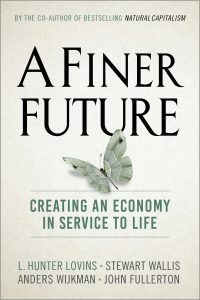 For more detail on this narrative see A Finer Future: Creating an Economy in Service to Life, which serves as a blueprint for these efforts. NCS will document what is being done locally to shift towards a regenerative economy, convening local groups and spreading this knowledge (an upcoming blog posts will highlight these case stories). We will spread the narrative and encourage adoption of regenerative practices using traditional PR and a vigorous social media campaign. New stories will also emerge as we support individuals and communities in exploring disruptive ideas and solutions to advance the regenerative movement across social, economic and political boundaries. NCS will deliver regular public podcasts from our office to engage Hub members and other stakeholders as call-in or chat participants. NCS will also train interns to support the Hub efforts through research, joining in public meetings and managing social media. NCS is conducting research to demonstrate that the existing, extractive economy is actually a small contributor to Colorado prosperity, already dwarfed by more regenerative sectors. NCS will refine this research over the next few months. Based on experience with the Buffalo, NY Regenerative Hub, Dr. Elizabeth Walsh of the University of Colorado, Denver will guide a detailed mapping of the Platte River region to identify and engage groups already pursuing regenerative activity and enlist them into the transformation effort. We have convened a core group of people in the Upper South Platte watershed to imagine a finer future. The Hub will invite all the groups in the region that are working for similar outcomes, but are, at present, unaware of their shared agenda. To shift the idea of a regenerative economy into a movement, NCS will host meetings each month to enable citizens and groups interested in transforming the region’s economy to begin working together. Public events and workshops will maintain momentum. NCS will promote local leaders and bring in national and global thought leaders to expand the community’s concepts of what is possible. We will offer training materials and webinars on what it will take to create a new economy for a region. Based on an NCS program, Sustainability for All, we will provide free sustainability training for small businesses on how to cut their carbon footprint profitably. NCS will provide these and other programs to universities, community colleges, trade unions, Native American service centers, military veterans, and other groups with the potential to provide non-extractive, “meaningful jobs” training. Training for specific regenerative business practices is under development by NCS. NCS is building a regenerative business model. NCS is exploring business membership fees, social media micro-donations and other innovative revenue streams that will add to ongoing funding. Working with local funds, angel investors, and business leaders interested in developing a regenerative business model, we will create an accelerator that would be self-funding within three years. Investments will begin with “micro-financing” support for locally-based entrepreneurs and then, as the Incubator ecosystem stabilizes, graduate to larger investments and higher volumes of deal flow. Investors and community members will work together to guide funding for opportunities to keep wealth invested within the South Platte region. We will identify, promote and empower industries that are inherently regenerative of all forms of capital (human and natural in addition to only financial and manufactured). Over time, we will demonstrate a business model for the global network that is self-sustaining. NCS believes that decisive action and a powerful game plan is needed to bring about a new economy. We put as much effort into the how as we do into the why, and and ensure that these together generate the results to support our ideas. This is Part 3 of a 4-Part series about NCS’s collaborative work to help create the Regenerative Hub. Stay tuned for the final part of the series next week, where we describe key successes that have already happened, and more importantly, where YOU come into the picture.